As a nonprofit healthcare organization, Tanner Health System provides convenient and comprehensive health care to communities across west Georgia and east Alabama. 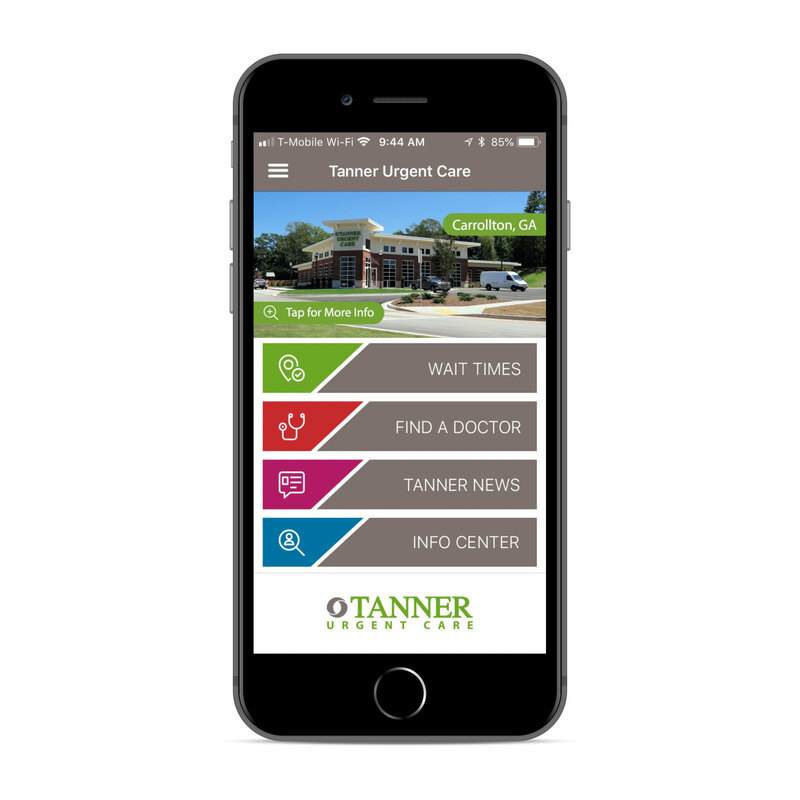 The Tanner Health Urgent Care app guides those seeking care to the most appropriate, convenient, and cost-effective care options. Frequently patients utilize emergency care unnecessarily, often not realizing what conditions necessitate a visit or where they can find lower-cost alternatives to pricey ER care. This can leave payers and patients responsible for larger hospital bills, and increased uncompensated care costs for providers when patients are unable to cover their own costs. Recent studies shows the average bill per ER visit is $1,982, while visiting an urgent care yields a charge of around $150—a cost difference of $1,832 that patients and payers both can appreciate. In addition, providers lose an average of $456 in uncompensated care costs per unnecessary ER patient. 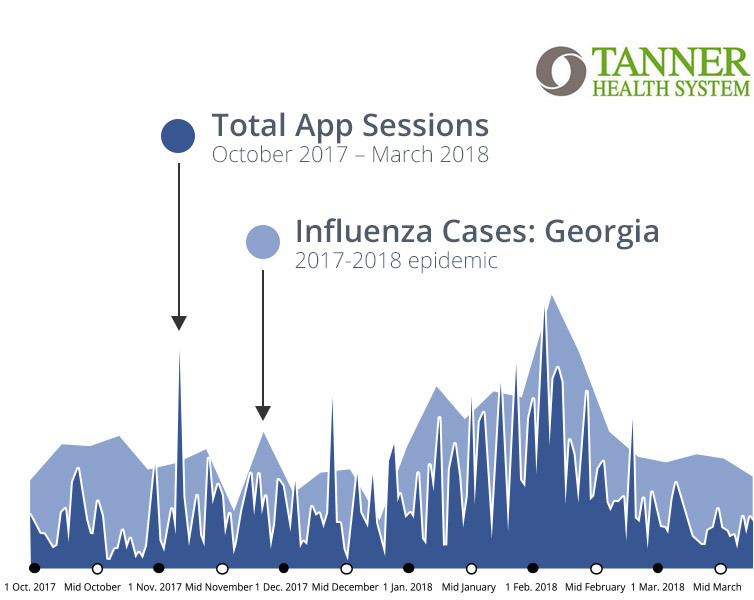 During the 2017-18 flu season, Tanner Health System saw usage of their app directing patients to urgent care centers correlate directly with the incidence of flu cases in the state. Flu season is hard on providers, often straining emergency care resources. While influenza diagnoses in the ER have increased 250.7% between 2006 and 2014, nationally only 13.8% of flu patients were admitted from the ER and many of the remaining 86.2% of visitors could have been treated with greater efficiency and at decreased cost at primary care or retail clinics. The state saw 2,026,039 total flu cases that season, of which 65,846 likely visited the ER. Approximately 34,282 of these would be preventable with a strong mobile strategy, resulting in a savings of $62.8 million for payers and $15.6 million for providers throughout the state of Georgia.